I am selling this truck because I never use it and it’s just taking up space. It was purchased new in 2004, has had only one owner, and has never been in an accident. In the last 3 years, it has only been used to go to the dump and tow a jet ski trailer, and has not left the Champlain Islands. It is not registered, inspected or insured, because I just do not drive it. Blower motor and rear bumper will most likely need to be replaced. 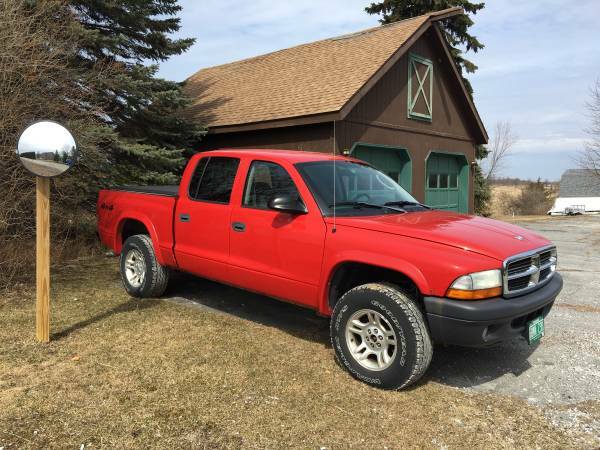 Red, 5 speed manual transmission, 4WD, cruise control, towing package. 183,600 miles. Email me with any questions or to take a look at this truck!